JadeScape is the latest private condominium by Qingjian Realty which is located at Shunfu Road and just 200m away from Marymount MT Station. JadeScape was the former Shunfu Ville by Housing and Urban DevelopmentCompany (HUDC) that was put up for tender for an asking price of $688 million or $791 per sq ft (psf) per plot ratio. The offer of $638 million was put up by Qingjian Realty and the owners accepted the offer. If there's one thing to be said about JadeScape, it would be that it was built to spark awe. With 7 peaks that strike the silver edge of the sky. Carved waterways in its valley. And green life that is fed by those same waters. From the minute you walk in, to the time you lay down in your home, the majesty of it all is unyielding. JadeScape located in the heart of Singapore, next to Shunfu Market Food Centre where there are plenty of local signature dishes available the food centre. There are many worthy stalls that are worth checking out in SHunfu Mart Food Centre such as Lai Heng Fried Kuay Teow and Leong Hainanese Chicken Rice. There are around 30 stalls located at Shunfu Mart Food Centre. Just a little over a kilometer walk to Thomson Plaza. work up an appetite while shopping and visit cafes fit to satisfy any cravings. Bordering the first and oldest of four reservoirs found in Singapore. MacRitchie Park is home to 12 hectares of nature's best reserve. One of the largest urban parks in Singapore, Bishan-Ang Mo Kio Park is 62 hectares of open fields, ponds gardens, river plains and unique waterways reconstructed from past concrete canals. Catholic High School. Raffles Institution and the future Raffles Girls' School, as well as Junior College and International Schools. As the Shunfu Ville esate is a mature estate, there are many buses along Marymount Road and Shunfu Road that takes you directly to Bishan as well as the Central Business District area. 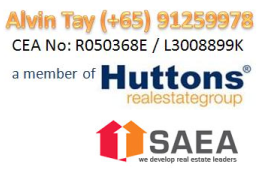 [/vc_column_text][vc_single_image image="11598" img_size="full" alignment="center"][vc_column_text]Qingjian Realty is a reputable firm on Singapore property market. It's a part of the Qingjian Group which is a multi-industry enterprise, their fields include property, investment, logistics, capital management and much more. With over 36.000 homes around the world, Qingjian Realty makes their success on real estate market. In 2015, Qingjian Realty received lots of prestigious awards such as BCA Green Mark Award 2015 Gold Plus, FIABCI Singapore Property and South East Asia Property Awards.